Actors often bring real-life experiences into their roles on screen, and it’s no different for the cast of “SEAL Team” on CBS. 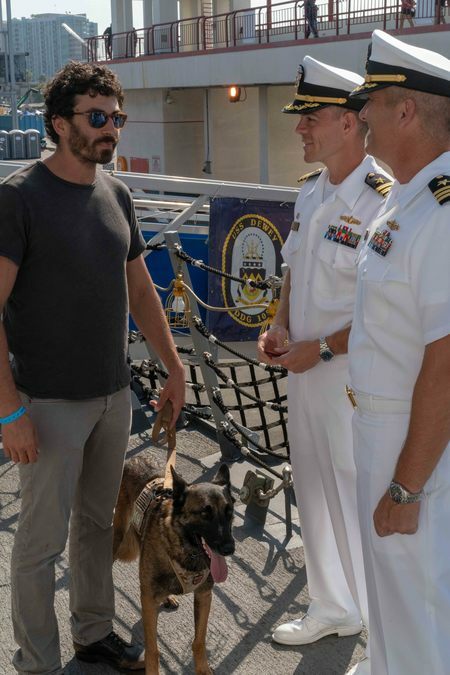 Stars of the show recently joined forces with the USO in Los Angeles to spend some one-on-one time with the men and women of the Navy and the Marine Corps aboard the USS Dewey. Bob Hope USO organized the exclusive tour for the cast during Los Angeles Fleet Week – an annual celebration of our nation’s sea services held at the Port of Los Angeles. 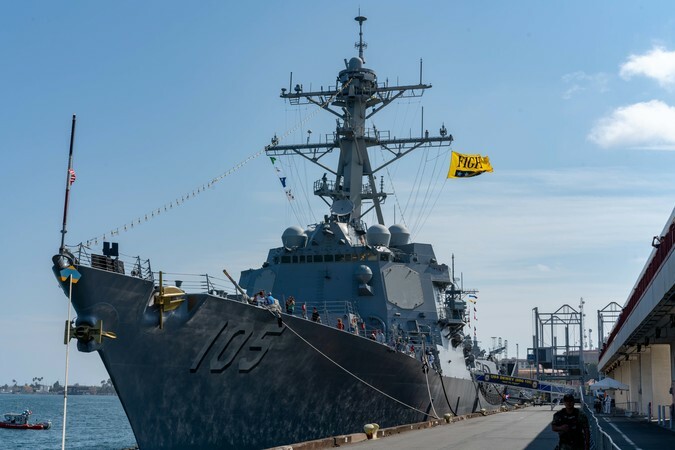 Fleet Week offers the public gets a once-in-a-lifetime opportunity to take guided tours of Navy and Coast Guard ships, honor service men and women, as well as entertainment courtesy of the USO. The cast present on the tour included Neil Brown Jr.(Ray), Judd Lormand (Eric), Justin Melnick (Brock) and K9 Dita, Ruffin Prentiss (Summer), and Michael Irby (Adam). “Start to finish, the day has been amazingly humbling and awesome,” wrote Judd Lormand in an email about the experience. Lormand, who plays the role of Navy Lt. Commander Eric Blackburn each week on “SEAL Team,” has several family members who served, and considers the role a great honor. Neil Brown Jr., who portrays Ray Perry on “SEAL Team,” emulates his father, a Marine Corps veteran, in many of his roles. “My dad is my hero,” Brown wrote. “He is the most awesome guy. He is a Marine through and through. I emulate him in a lot of the roles I do. I always wanted to be him and I’m still trying to be him. I’m still trying to be half the man he is. Anytime I get a role to play, I want to do it specifically, so he can see it and tell me how much he likes it and how accurate I got it. 'SEAL Team’ cast members meet the crew of the USS Dewey during LA Fleet Week.